Every good marketer knows that a one size fits all approach rarely works and that segmentation is needed to be able to deliver a targeted message to your audience. It’s the basic “know your customer” approach. Ask a direct mail or email marketer and they’ll tell you that – in spite of the additional effort – segmenting your lists and sending targeted and/or personalized messages means increased opens, conversions and ROI. And an added bonus for email marketers, fewer unsubscribes. We live in the era of intelligence – even though artificial and not true A.I. yet – and the use of predictive analytics is starting to quickly catch up. In spite of this known fact – and maybe because marketers are not always in charge of or working together with the Social Media departments – little segmentation takes place on social networks. 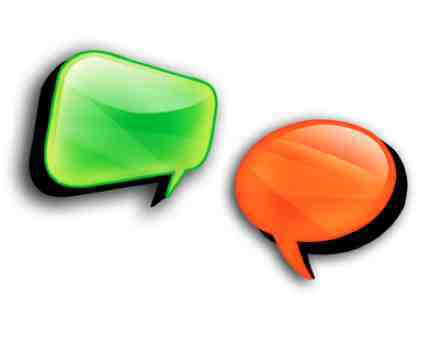 Most brands have one Facebook page and one Twitter account. Frommer’s Twitter activity is not segmented by country. They mostly tweet for the U.S. Even though they talk about travel all around the world, their tweets are mostly for the U.S. and not segmented at all. There is a mix of messages, from adventure to family trips and urban restaurants, they seem to cater to everybody in one single stream. 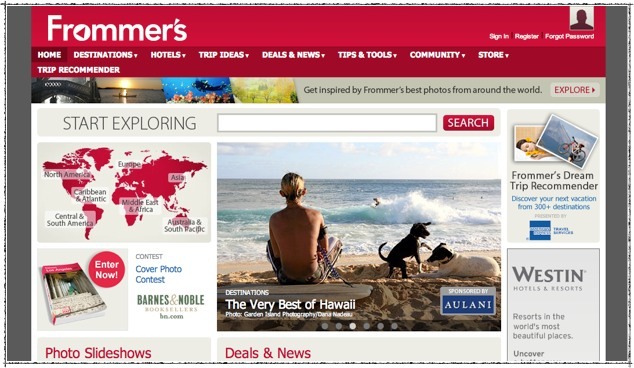 Frommer’s is very aware of the way people shop for travel by interests and locations. But it does not translate on its social media strategy. 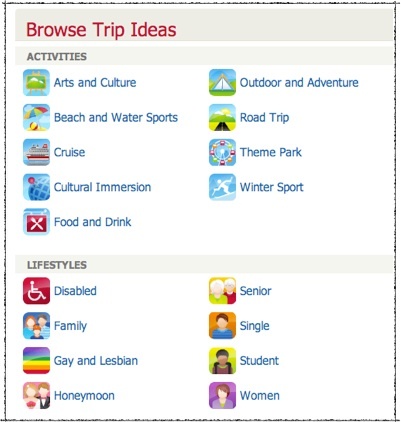 People who browse the Frommer’s Travel Guide can search by destination, trip ideas such as arts and culture, outdoor and adventure, theme park or by lifestyles. They even have a special section for the savvy traveler that is looking for a good deal. 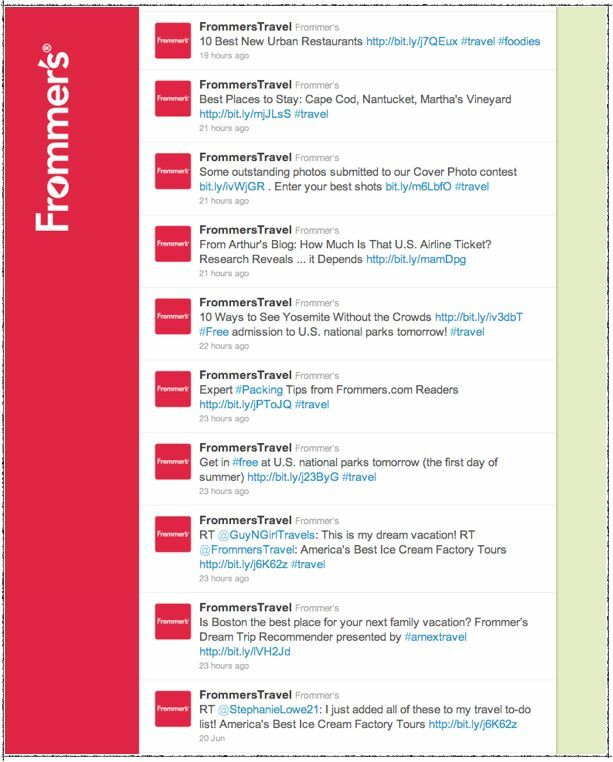 A few Twitter accounts that specialize on a specific geography or activity would increase the level of engagement, attract more like-minded travelers and generate higher traffic to the Frommer’s site. 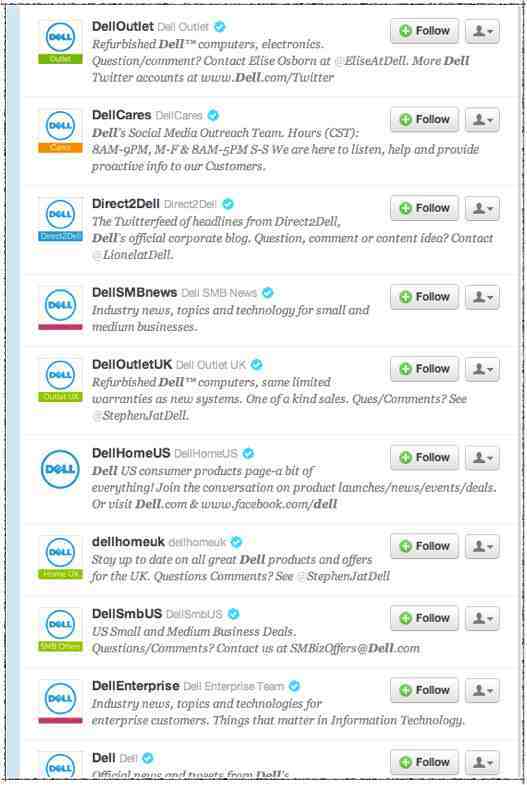 They have segmented their Twitter accounts by country, key people, user type (enterprise, small business and home) and, of course, the famous Twitter accounts: DellOutlet and DellCares. In this manner, Dell corporate communications will not be broadcasted together with a special laptop offer in Mexico or with technical problems. 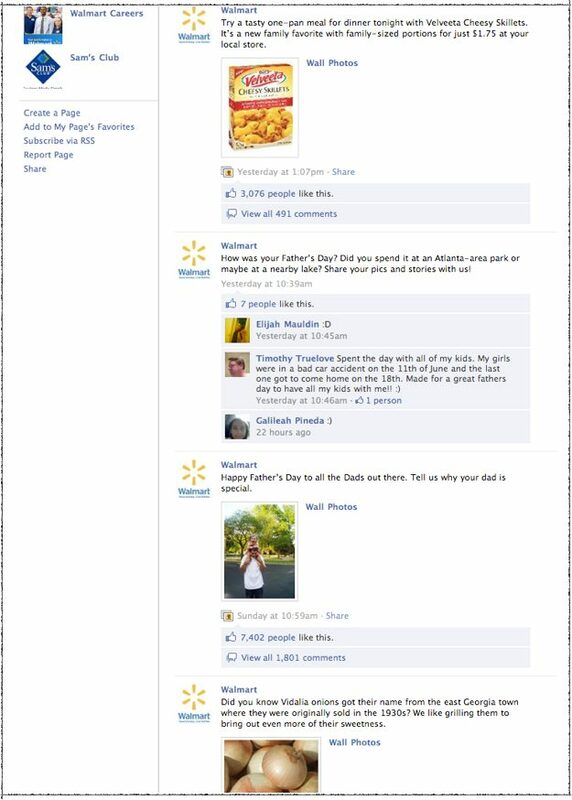 Walmart does a great job of geographical segmentation geo targeting posts and updates on its Facebook Fan Pages. That way, fans like me can see what is happening in the SouthEast of the U.S. and not be bothered with offers or updates that will mean absolutely nothing to people who live in this area. Other reasons why content segmentation is key to Social Media strategy and execution’s success. First, people tend to “unlike” or “unfollow” a brand that floods them with irrelevant information. Second, Facebook ranks posts by the amount of interaction it receives. Therefore, the posts with higher level of interaction will be seen most by your Facebook Fans. If people are not engaging with you (e.g. by clicking on a link, watching a video, making a comment, etc. ), you will drop off most consumer’s Facebook wall and they’ll simply never see your message unless they come to your Facebook page directly. Think about how effective digital marketers are segmenting their online traffic and whether you could do the same thing with your social strategy. Could you segment By vertical? New customers? Location? Frequent Purchasers?